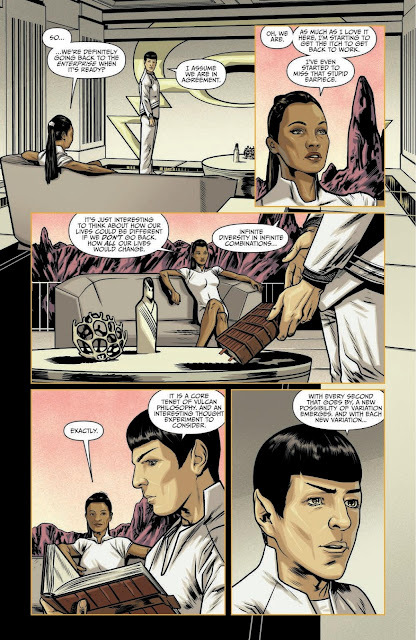 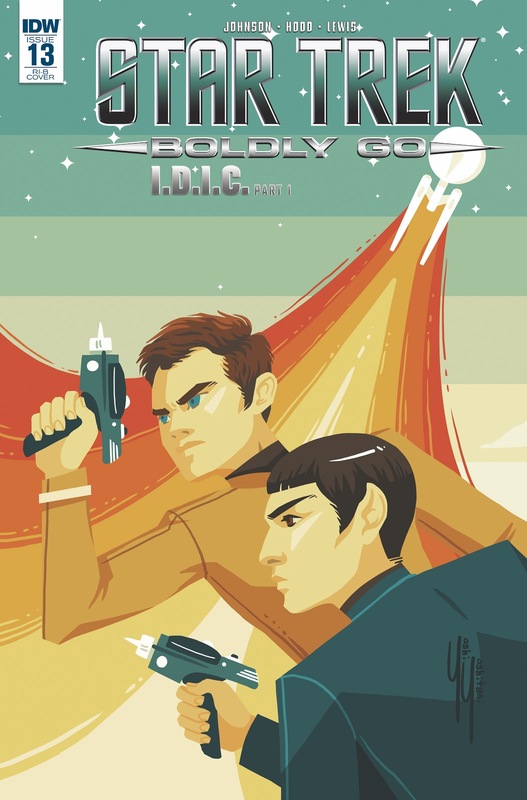 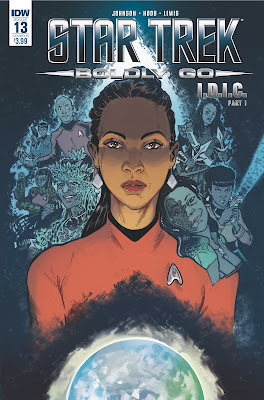 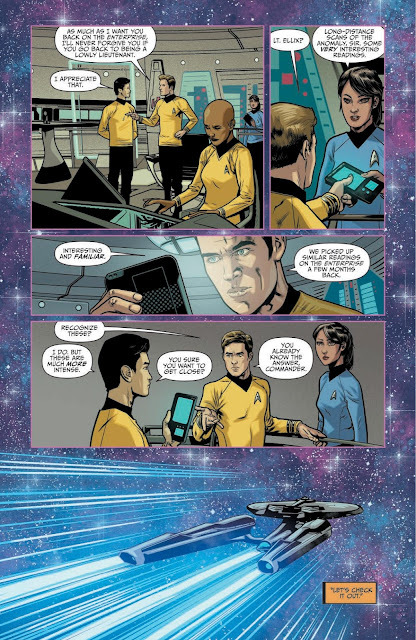 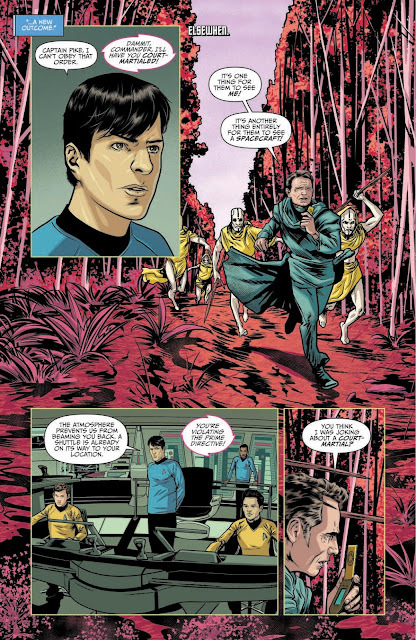 Out this week is issue thirteen of IDW's Boldly Go comic, which is the first issues in a new six-part mega-multiverse crossover story, IDIC. 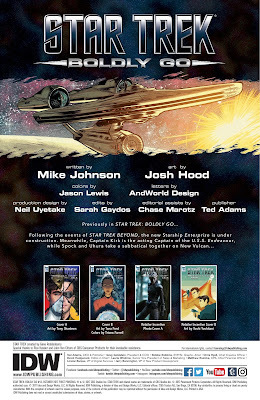 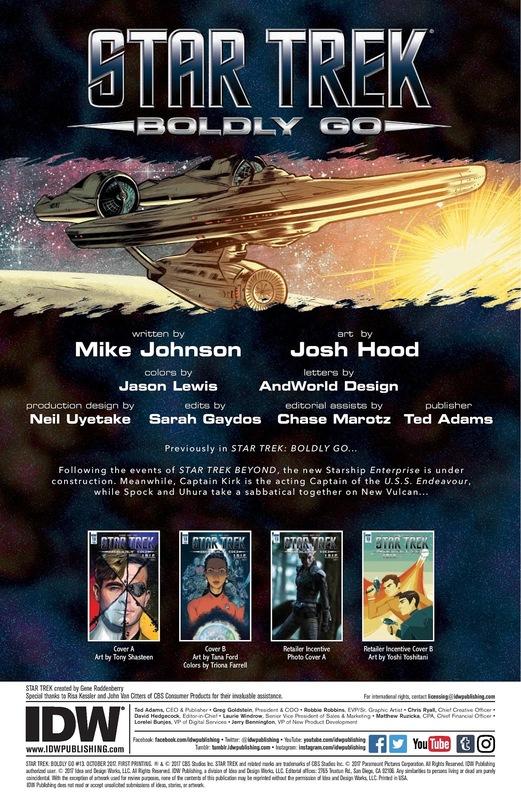 The story, written by Mike Johnson, and illustrated by Josh Hood, is set to bring together several different alternate timelines. 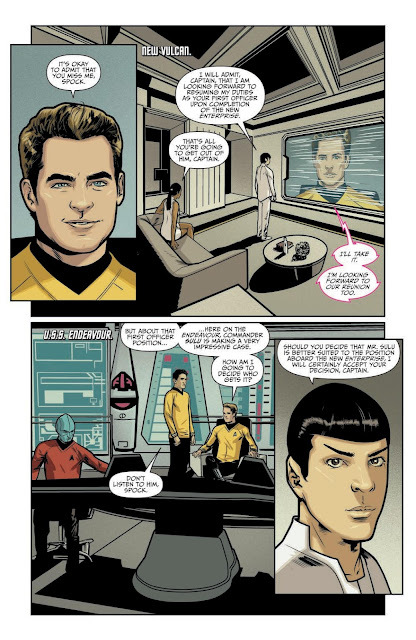 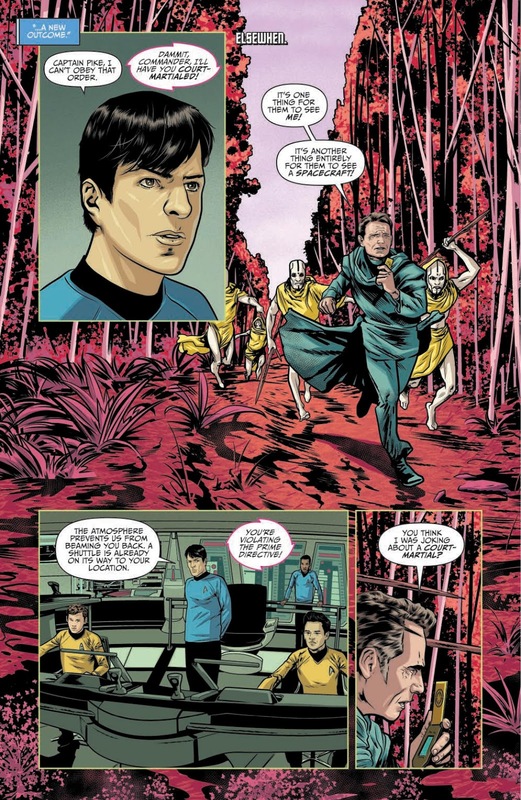 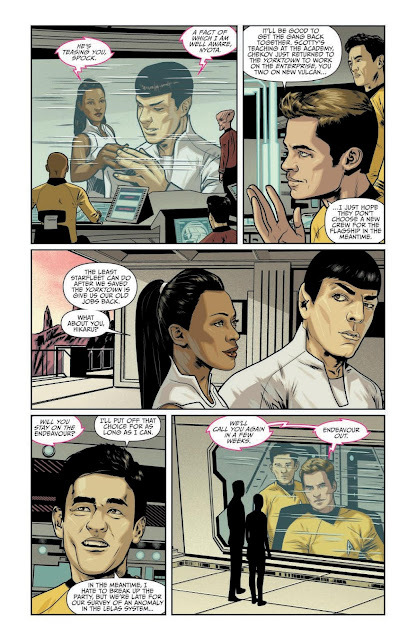 This first issue focuses primarily on a reality where Pike remains in command of the Enterprise, Spock (or Simon) plays up his Human side, and Kirk is a Klingon! 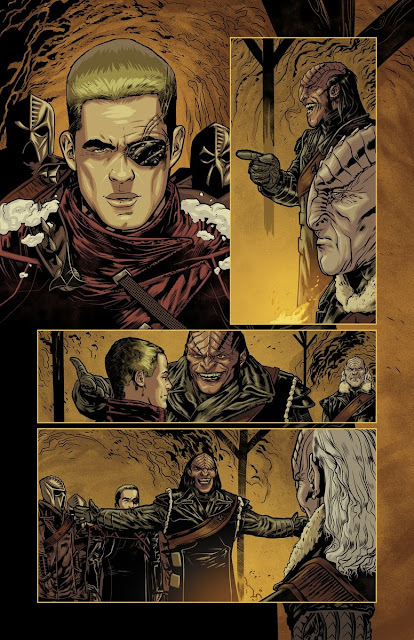 All of which you can get a taste of in the preview below. The book is available in four different covers. 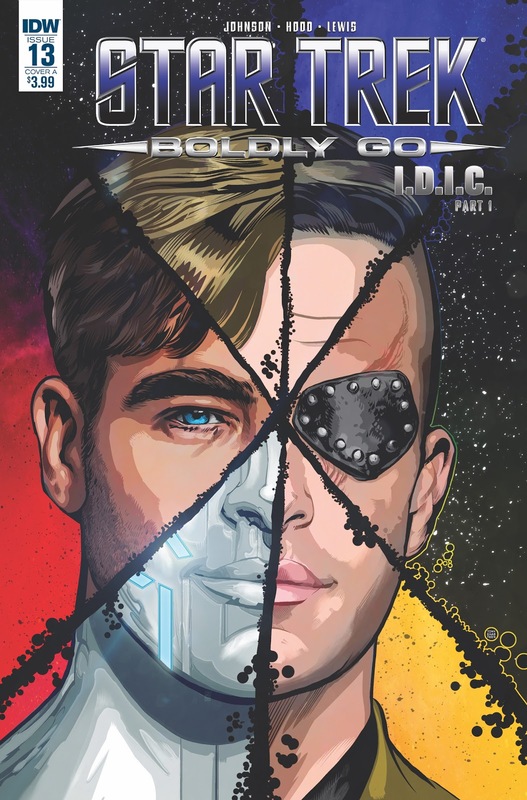 The A cover, featuring a fractured multi-reality Kirk, is by Tony Shasteen. 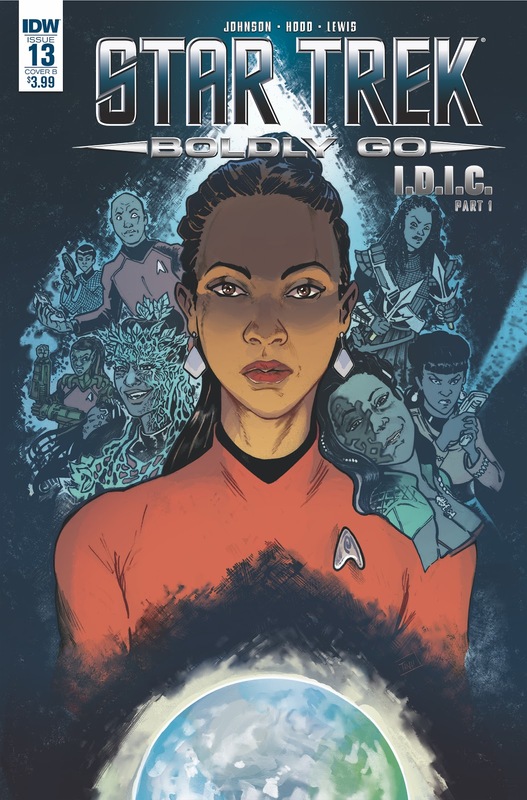 The B cover, featuring a multitude of Uhuras comes from Tana Ford, with colour by Triona Farrell. 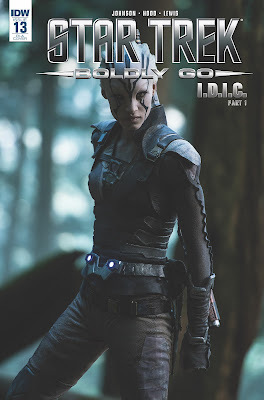 One retail incentive cover is a photo of Jaylah, and another inspired by the Star Trek Beyond poster, is by Yoshi Yoshitani. 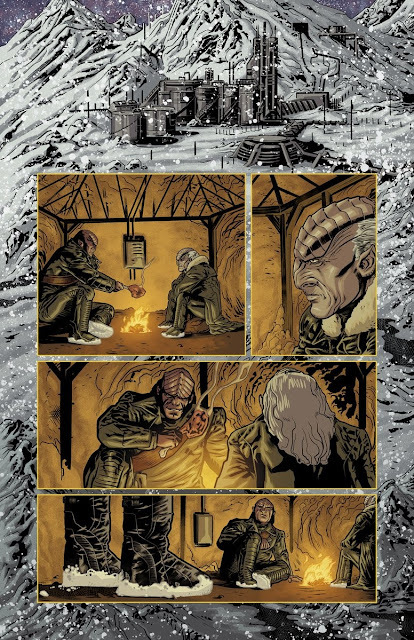 You can continue reading this story by picking up a copy at your local comic book shop, or from online retailers like these: Amazon.com, Things From Another World, Forbidden Planet, iTunes.